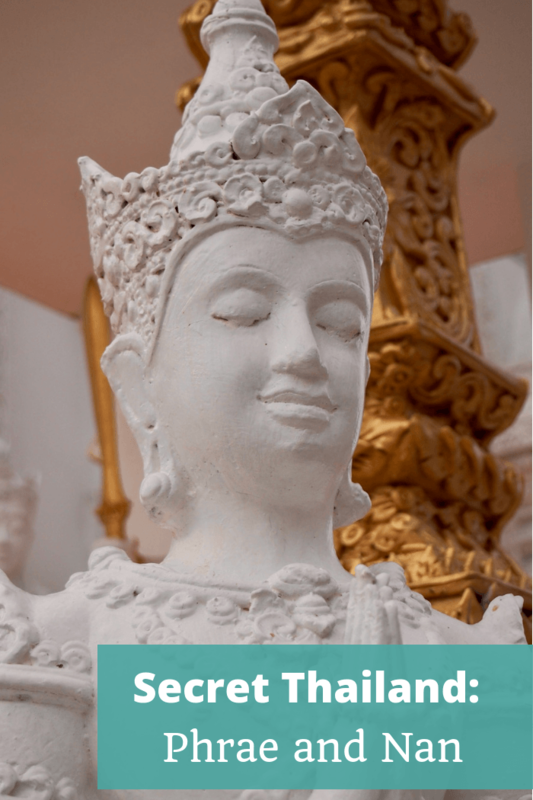 I’ve had such a wonderful travelling year and I’m excited to bring you this episode of The Thoughtful Travel Podcast about my recent experiences in Thailand. But it’s not just about Thailand, but secret Thailand! – the parts that western tourists haven’t really discovered in any numbers yet. There’s lots to love about Thailand and this was my first trip beyond Bangkok – I’ve never done the standard Aussie beach holiday on Phuket (though plans are afoot to attend a wedding on Krabi next year!) – and I just adored it. 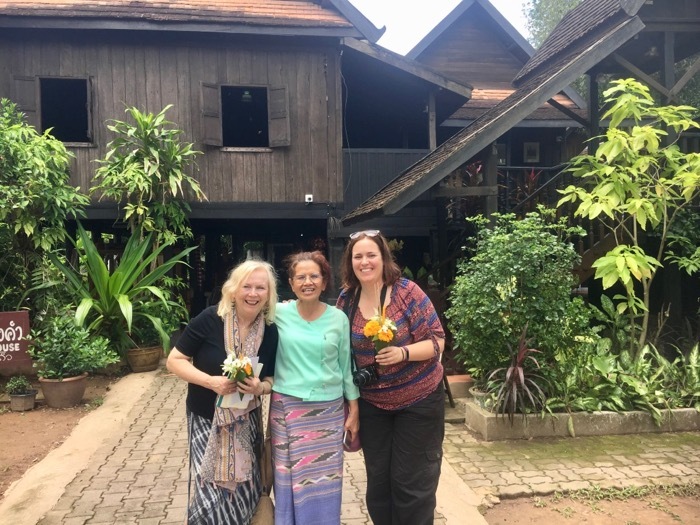 But for now: let me introduce you to a couple of my fellow travellers on this northern Thailand exploration and hear what is special about going somewhere that not many other people visit. Exploring the lesser-known parts of Thailand was something I was lucky to do recently following the annual Australian Society of Travel Writers convention in Bangkok. 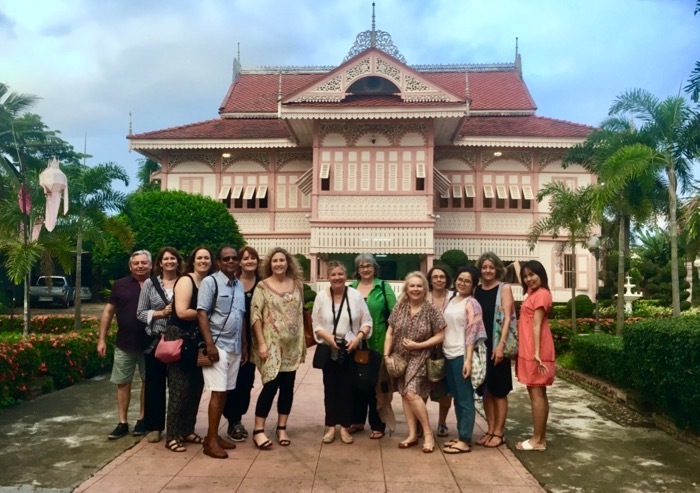 With a small group of delightful travel writers I explored the towns of Phrae and Nan in the north-east of Thailand and being such an “off the beaten path” pair of destinations, I just had to share something about them with you for Episode 111 of The Thoughtful Travel Podcast. First up I chat with Natascha Mirosch, one of my fellow travellers, who loved it just as much as I did and talks about the fun we had making our own dyed indigo fabric and that time she met a Thai monk who’s become her Facebook and Instagram friend! I then chat with Caroline Gladstone, another lovely member of our group, and she reminisces about one of my favourite experiences – getting up early to give alms to the monks in Nan. We also talk about the food – which, you won’t be surprised to hear, was delicious – and a particularly fun evening when we rode the disco bus! I hope both remain undiscovered to the foreign hoards. Yes I agree Ian – just a trickle of economy-helping tourism is enough. Not too much!